New York (TADIAS) — Here comes a captivating publication shining a spotlight on the previously unexplored period of the public life of Ethiopia’s former Emperor Haile Selassie during his years as a refugee in Bath, England from 1936 to 1940. 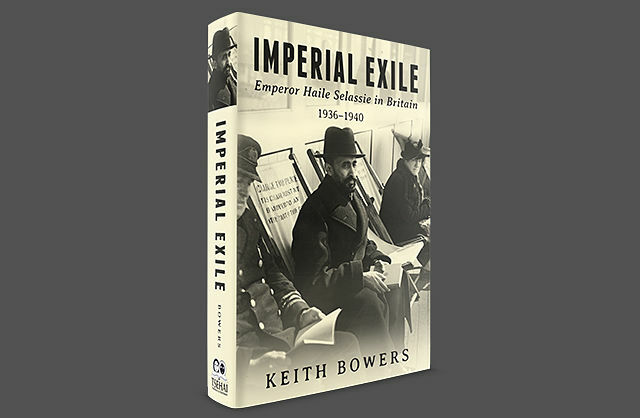 The book entitled Imperial Exile by Keith Bowers, a former executive producer for the BBC, will be released in the U.S. this month by Tsehai Publishers. “With the plight of refugees constantly in the news” this profile “is as timely as it is intriguing,” states the press release. A book release is scheduled in Washington D.C. on September 22nd at the Library of Congress hosted by Tsehai Publishers with author Keith Bowers in attendance. You can learn more and purchase the book at tsehaipublishers.com.